Lenovo is adding a new device for its smart home family which is said to be smaller than the company’s Smart Display. The new Lenovo Smart Clock was hailed “The Ultimate Bedroom Companion” has a 6W speaker and two passive radiators with Dolby’s new background noise reduction technology that enhance radio listening. 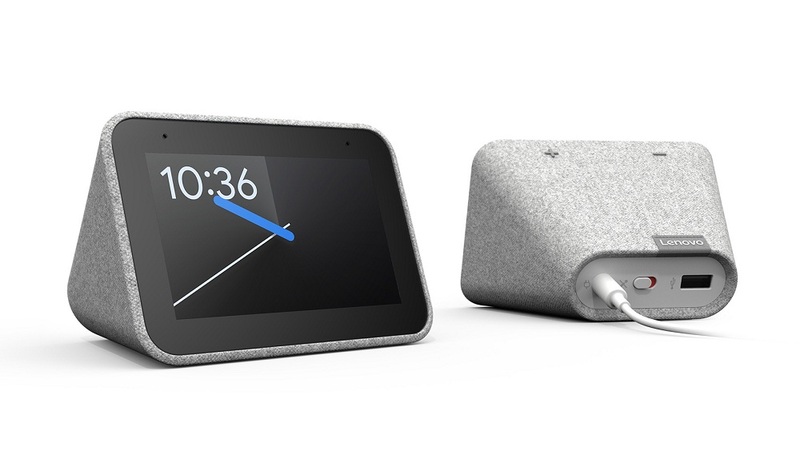 The Lenovo Smart Clock can be connected to a home speaker group that plays music, audiobooks, podcast and radio across many devices in several rooms. The new device can be also used with Chromecast that will help users to watch their favorite TV shows and music with just a command. Users have an access to set an alarm that will automatically tell them about today’s weather, their reminders, agenda, and their commute to work. The user needs to tap the device to snooze or dismiss the alarm. The Lenovo Smart Clock will be available in spring this year with a starting price of $79.99 in the US.